← So, progress. Also, baby related chaos. About Writing Themes. A Rare Rant. Also, 111,345 words. #amwriting again. My wordcount has gone up for the first time in weeks. Booya. I kept cutting more than I’ve added, a result of trapsing through very old chapters for the first time in a long time. So themes in fiction. I’ve been thinking about mine, and I’m getting to be very happy with them. But let’s say you were starting to really crack it with the way people were talking about a particular issue *cough-cough racism* or several issues *sneeze-cough sexism AND racism*, or more to the point, you’d like to convey your own views on these (or other) big-ticket-issues. Sexism and Racism are bad. We agree that this is true? Okay good. This has been the case since I guess the 50’s (before which all bets were off), so why get peeved right now, in 2014? Because it seems that these days, every time either topic is broached, an army of Nice Guys arrive to play devils advocate, and smother procedings with their opinion sacks. On the one hand these are rational arguments *chokes back bile*, fact-based *grinds teeth*, and all voices have the right to be heard *clenches fist and pops a blood vessel*. We do need a devil’s advocate sometimes. We’re not always right. But on the other hand, these arguments are a load of dogs nuggets. These people need to be schooled. We’re at a university games. There’s a mixed tug-o’-war comp about to start. One uni’s coach has picked a team of bright-and-bubbly all-comers. They’re variously white or black or pink or green and male or female or other, and they’re ready at the rope. They’re slapping each other on the back and fist-bumping, laughing, until university team number two arrives. And in they march, an all-star team. They’re the biggest boys their school has to offer. They all earned their places (they think), even Token Trevor, the brazilian guy playing anchor (just happy to be here, coach!). Off to the sidelines are all those students deemed unworthy to join Uni Team Two. For all their colour and all their variety, they’re looking pretty grey and dull right now. The rules state that bystanders may join the contest after thirty seconds (suspend your disbelief please, this is a throw-away anyhow), and the crowd gathers, ready to jump in. But which side will they aid? The thirty-seconds-whistle blows, just before the first Team-One toe crosses the line. The bystanders surge forward. Team One gets the most help, and the momentum is checked. More guys join Team Two, and things are heading to a loss again. And they slot in alongside the members of Uni Team One! And then he lets go of the rope. Team Two collapses to the floor, and the crowd cheers. So how are you getting your theme in? What theme are you going for? What theme would you like to see? 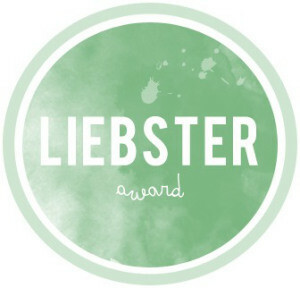 Oh, and on an unrelated note: the awesome Renafreefall has kindly nominated me for the Liebster Award! Thank you. Much appreciated and it tickles my beard like a jolly santa to be thought of for these things. I’ve just done an awards post a short while back, so I won’t be doing another right now, but please check out her page. Lots of talk about snakes, frogs, camps (lately), shennanigans, and writing. EDIT: a word about heavy-handedness, inspired by my good friend ThePaperButterfly’s comments: theme should be hypodermic in the neck, not a nailgun to the face. The story I’ve written above is more like a children’s fable (or let’s be honest, a poorly written short) than a proper narrative. Hopefully it works as an example of presenting a theme, an argument, and then of taking-a-side through the story. This entry was posted in Writing and tagged ferguson, fiction, notallmen, racism, sexism, theme, Writing. Bookmark the permalink. 7 Responses to About Writing Themes. A Rare Rant. Also, 111,345 words. #amwriting again. Yeah, I read being heavy handed with themes or symbolism is almost worse than having none at all. I just started incorporating symbolism into my pieces, so I’m having trouble gauging if it’s too much or too little. The only problem with too little is that no one catches it, but in literature it seems many of the symbols can be really subtle yet people still pick up on them. I think the theme of “you can never have too much in moderation,” is a good one. It’s easy to relate to because we’ve all experienced it. I read a piece about how starting a blog before you actually publish something is a waste of time. From a marketing perspective she’s right XD But what if you blog because you enjoy it? I enjoy talking to friends too, and it takes away from writing and reading time, but who cares. So I think it’s good to blog in moderation. If you are putting so much effort into your blog that you don’t have enough time to write, it is kind of counter-productive. I think alcoholism is only a motif. What you described, with the nature of forgiveness, is a theme (and not a bad one). You’re right about heavy-handedness: theme should be hypodermic in the neck, not a nailgun to the face. The story I’ve written above is more like a children’s fable (or let’s be honest, a poorly written short) than a proper narrative. Hopefully it works as an example of presenting a theme, an argument, and then taking a side through the story. For blogging, I see it like a choice to either walk into the room and introduce yourself, or hang around outside until your pamphlets have printed. Just go in. You want to make some friends, get your name out there, and it’s fine that you don’t have anything to shove under their noses yet… actually it’s probably better. By the time you’ve got something worth showing, you should have a few more friends to read it! Thanks so much for the article 😀 You can probably see why I’m focusing on short stories for now XD The concept of theme is foreign to me. Yeah, I understood the theme in your narrative. Kind of reminds me of many movies actually. OOO! Ooo! Yeah! It’s like the Mighty Ducks! I must have been channeling Emilio Estevez. Thanks! It’s only a thousand words so I might give it a try 🙂 I haven’t done prompts before, so it would be fun to try. Great job on the word count! Themes can be tough to focus on, kudos for getting yours down. I really enjoyed the fable rant, well done.